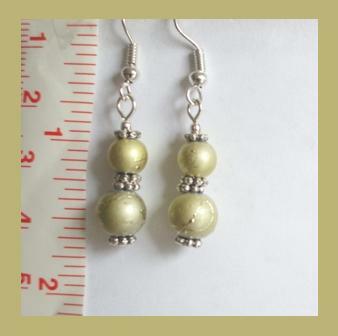 These gorgeous earrings are made of craft crystal glass lampwork beads, Tibetan silver daisy beads, and silver plated beads. The colors in these beads are unique and "appear" to have a vintage look. The ear wires are .925 sterling silver.